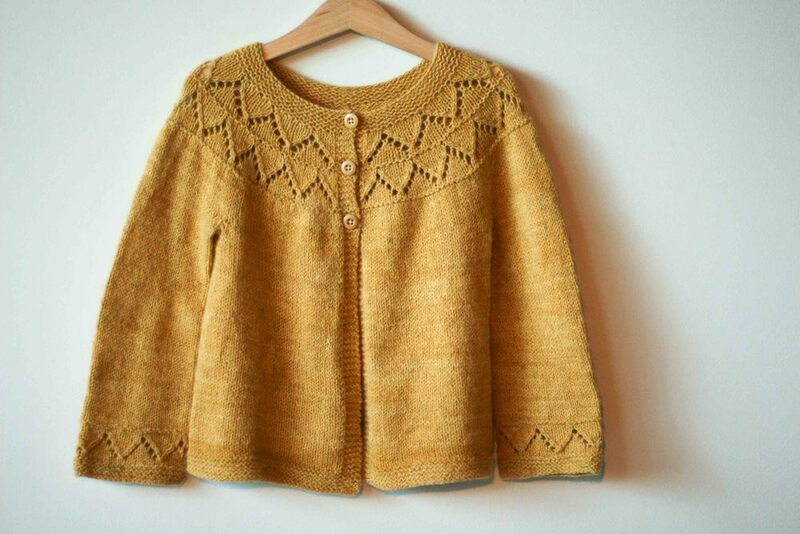 Granny's Favourite is the pattern by one of our teachers Georgie Hallam. So I think we started off strong with Part 1 of this post - lightweight sweater/cardy yarns that are in the sport/dk category. Go have a look - both of them are complete winners of yarns. They don't pill, wear well, are affordable and make a beautiful fabric. Today we are going to talk about another winner - Shilasdair Luxury DK. This is a yarn that is relatively new to me. I came across it by complete accident and boy am I glad that I did. My bloke happens to be British; a random fact that means that every year or two I have to take a trip to the UK - which means I get to visit the gorgeous Loop in London. Now this fact is a super thing for me as well as you, because it means I can introduce you to this yarn. Anyhoo, on my trip last Christmas I was lucky enough to have a day to myself in London - about two hours of which were spent in Loop. I was about to leave when some lovely woman opened the most gorgeous box of yarn and emptied it onto the floor. The shop staff started chattering about the perfect blue and the perfect green and so my little eyes wandered over to see what the commotion was. It was love at first sight. Not just lust you understand but true love. One of the things that makes this yarn super special is that it is dyed with natural dyes in the most stunning range of colours. I purchased two that day - Tansy which is dyed with tansy flowers and Hawthorn which is dyed with a combination of lac and cochineal. I will say that it is not possible to photograph the true colours of these yarns and even after editing the photos to try to make the colour a bit truer I can't get it perfect. They are more luminous than the photos suggest. The red is more red and less rust and waaay more beautiful. And the yellow is somewhere in between the bright colour below and the yellow of the top photo. It is lovely. And lets talk about the structure. Again we are talking about another blend. But different to the other two again. This one is 10% cashmere, 10% baby camel fibre, 40% angora and 40% fine merino lambswool. I haven't come across something similar in terms of the way it feels or the blend. It has a twist but at 300m per 100g it is super light for something that knits up as a DK. (If I am confusing you then please go back to Part 1 as I explain this a little better or ask me a question in the comments). Show the texture and the beautiful semi solid-ness of the yarn. The yarn feels a little thin for a DK as you are knitting it, but after washing it blooms beautifully. It the close up of the yellow above you can see the texture of the yarn, some twist, some longer fibres (camel??) and you can also see the beautiful variation of the semi solid. As I have said before I am a fan of the semi solid. And according to the stats so is the rest of the world (have a look at these great posts from Bristol Ivy on knitting stats from around the world). It gives your garment more depth, it looks less flat and more interesting. What I don't like is when there is too much variation in a semi solid leading to a more spotty look. These yarns have the perfect balance - perfect!! I planned on having my cardigan finished by the time I was to post it but it wasn't to be. 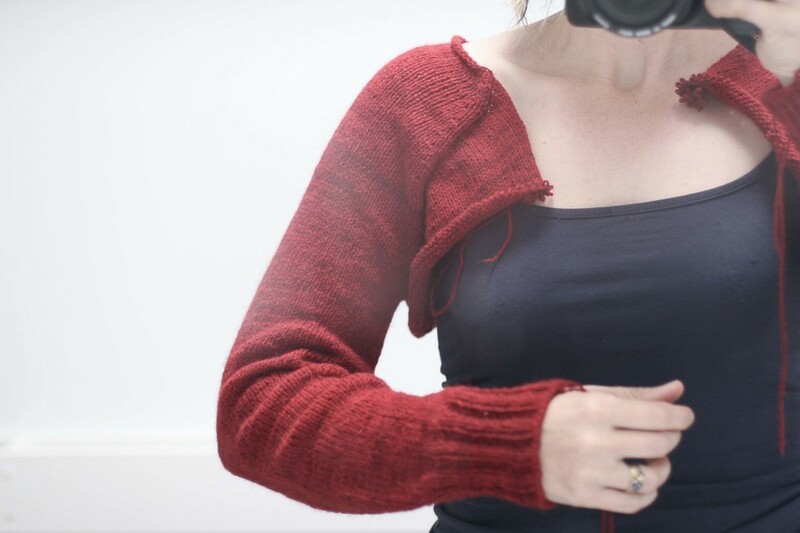 I knitted the yoke, both sleeves and had started the body before I figured out that it was too big. So I ripped it (with the help of the lovely Martine who talked me through the pain) and have started again. I am almost where I was but I thought I would show you some photos anyway. That way you can see how another of the beautiful semi-solids knits up. Lovely isn't it! Yarn Stats - 300m in 100g and is a blend of 10% cashmere, 10% baby camel fibre, 40% angora and 40% fine merino lambswool. You can buy it from Loop here and Die WollBox here. Next up will be something a little more local.